Albrecht Fortenbacher graduated and received his PhD in Computer Science from Universität Karlsuhe, now known as KIT – Karlsruhe Institute of Technology. After a year at IBM Thomas J. Watson Research Center in the U.S. participating in the development of the computer-algebra system “Scratchpad”, he joined a major research project on Supercomputing Applications at the IBM Scientific Center in Heidelberg. 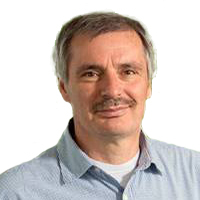 In 1994, Dr. Fortenbacher became professor at HTW Berlin where he served as programme director of Applied Computer Science for many years. Besides, he goes abroad teaching on a regular basis, such as to Spain and Taiwan. 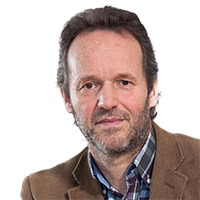 He is also head of the Working Group on Learning Analytics within GI, the German Informatics Society. Jürgen Sieck received his degree in Mathematics in 1981 and his PhD in Computer Science in 1989 from HU Berlin – Humboldt-Universität zu Berlin. Now he is a senior researcher at the research group "Informations- und Kommunikationsanwendungen" (INKA) and professor for Applied Computer Science at HTW Berlin. In the past years, he served as visiting lecturer at several universities in Australia, Namibia, South Africa, and the United States, such as Monash University Melbourne and University of Cape Town. In February 2013, he was awarded an honorary doctorate from Odessa National Polytechnic University, Ukraine. Since 2015, he also holds a professorship at Namibia University of Science and Technology.